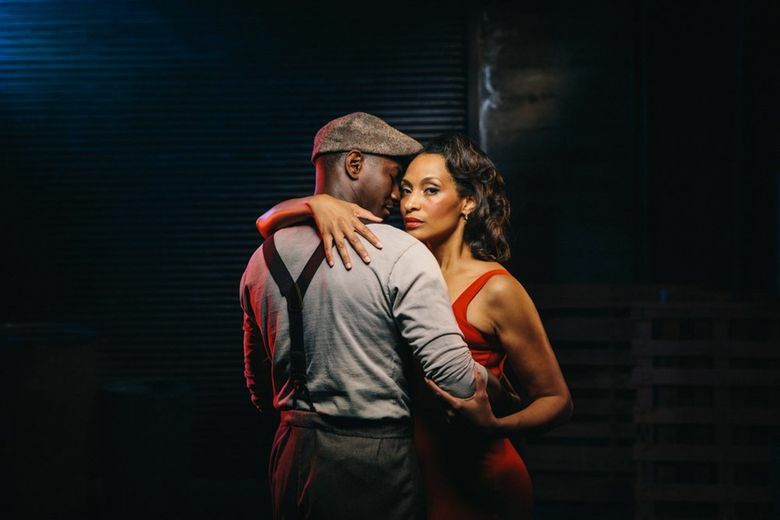 The artists in Seattle Opera’s upcoming “Porgy and Bess,” which opens Aug. 11, say it’s fine to celebrate the music, but it’s even better when that appreciation comes with a desire to think about the bigger cultural picture. It also represents a rare chance to see a majority-black cast on stage, and it’s long been a springboard for black artists’ careers. Then there’s the problematic side. For one, black people didn’t write either the source material or the opera. And its themes — young women led into lives of prostitution, young men ruined by drugs and gambling — represent some of the most tenacious and damaging stereotypes about black culture. The artists in Seattle Opera’s upcoming “Porgy and Bess,” which opens the 2018-19 season on Saturday, Aug. 11, say it’s OK to celebrate the music, but it’s even better when that appreciation comes with a desire to think about the bigger picture. Tenor Jermaine Smith made a name for himself playing Catfish Row’s ne’er-do-well drug dealer Sportin’ Life, a role he’s performed all over the world and will be playing in Seattle Opera’s production as well. 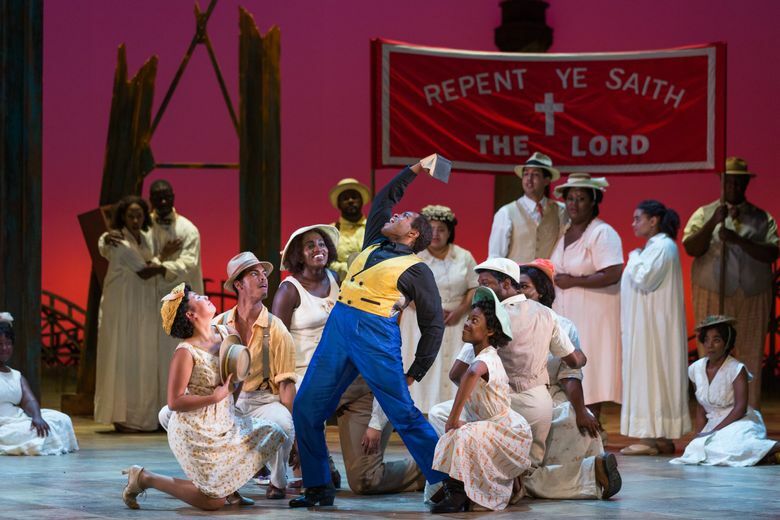 He likes the way “Porgy and Bess” shows positives and negatives, hard edges and softness, evil but also goodness, all against a backdrop of a tight-knit community of people who find strength in their shared spirituality and interdependence. As is the case with many black singers, this opera has helped open doors for him. “I’ve been offered house auditions because someone saw me as Sportin’ Life,” he said. Smith will be directing his first fully staged opera in January — “Porgy and Bess” for the South Florida Symphony Orchestra. It’s a big opportunity, especially given how rarely opera companies hire black directors. Smith is well aware of the opera’s controversial history, but he says it portrays a sliver of real life he saw growing up in St. Louis, where some of his hardscrabble relatives had a lot in common with Sportin’ Life. When “Porgy” first opened on Broadway in 1935, many in the black community welcomed it as a rare big-stage showcase for African-American talent — though there were prominent dissenters as well. It led to desegregation in some theaters when performers refused to sing for whites-only audiences. But over the years, as black performers made inroads into the mainstream arts scene and the civil-rights movement grew to a crescendo, the opera fell out of favor. After having been “too black” for some white audiences in its early years, it was not black enough for many African Americans tired of seeing themselves negatively portrayed in all kinds of entertainment. Linda Callecod, who will be part of the “Porgy” chorus in Seattle, was a college student studying music in Detroit during the turbulent late 1960s. It didn’t help that by the time she and many others first saw “Porgy,” it was as a shortened musical-theater version rather than the more nuanced opera it was originally meant to be. The full opera largely faded from stages for decades, until Houston Grand Opera produced a landmark performance in 1976. Its musical director was John DeMain, who’s conducting the full-length version for Seattle Opera. Hiring talented singers, involving the cast in staging decisions and letting each performer’s abilities shine are crucial in successfully staging the demanding “Porgy.” Those working on Seattle Opera’s production says this one does that with a seasoned cast including Alfred Walker (Amonasro in Seattle Opera’s recent “Aida”) and Angel Blue (who appeared in Seattle Opera’s 2011 “Porgy and Bess”). “Every person in this opera is a principal, in that you will feel the energy always flowing and everybody’s engaged,” Smith said. The composer, George Gershwin, and one of the lyricists, brother Ira Gershwin, were Jewish. DuBose and Dorothy Heyward, white Southerners, co-wrote the libretto based on their own play, itself based on DuBose Heyward’s novel. “Then we had the performers, who were African Americans and who were embodying these roles and talking with the Gershwins and the Heywards to sort of help with interpretation,” André said during the “Breaking Glass” forum. The extra-large chorus, which, as in the Seattle Opera production, often includes high-caliber singers from the local African-American community, adds another dimension. In this staging, they also play a much more active role than in most operas. Callecod, now a business and organizational consultant, performed in a few operas in college but never seriously considered becoming a professional singer. Back then, “I would never, ever be considered for a leading role in a majority-white opera,” she said. The “Breaking Glass” forum, which, in addition to DeMain and André, also included theater and opera writer and director Tazewell Thompson and director, choreographer and playwright Paige Hernandez, tackled many issues — past and present — around racial inequity in the arts. Perhaps the biggest problem with “Porgy and Bess,” panelists said, is that it allows opera companies to feel they’re covering their bases when it comes to diverse programming. That includes work by artists such as Thompson, who has directed “Porgy and Bess” several times, including in Seattle. He recently wrote the libretto for “Blue,” an opera about a Harlem couple dealing with the death of their teenage son. Hernandez tackled race, immigration and the question of home in “Stomping Grounds,” equal parts hip-hop and opera. Clarification: An earlier version of the story said that the chorus in Seattle Opera’s “Porgy and Bess” includes high-caliber amateur singers. Some singers in the chorus came to the production as amateurs; upon joining the production, they are paid as professionals. 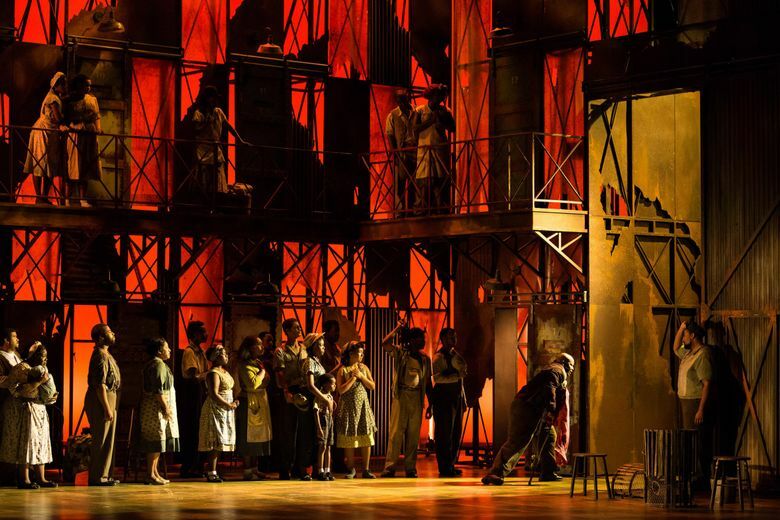 The Gershwins’ “Porgy and Bess,” Aug. 11-25; Seattle Opera at McCaw Hall, 321 Mercer St., Seattle; $25-$328; 206-389-7676; seattleopera.org.